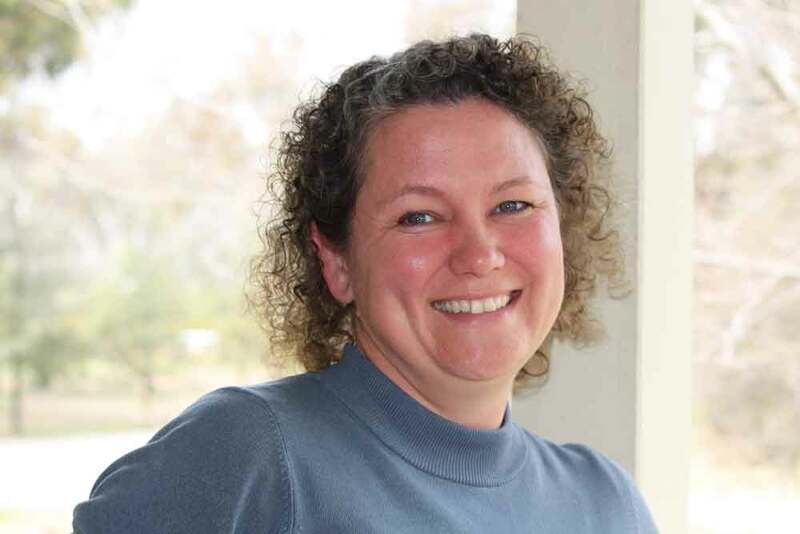 After 14 years in global FMCG marketing based in London, Amsterdam and Milan and spending most of her days flying around the world on aeroplanes, Nicky joined Tim in Mudgee in 2008 in search of the quiet life. Hah. She took over the running of the Music Festival in 2009 and the business in 2013. Always an enthusiastic consumer of wine, Nicky has thoroughly enjoyed learning what it takes to grow, make and market it. 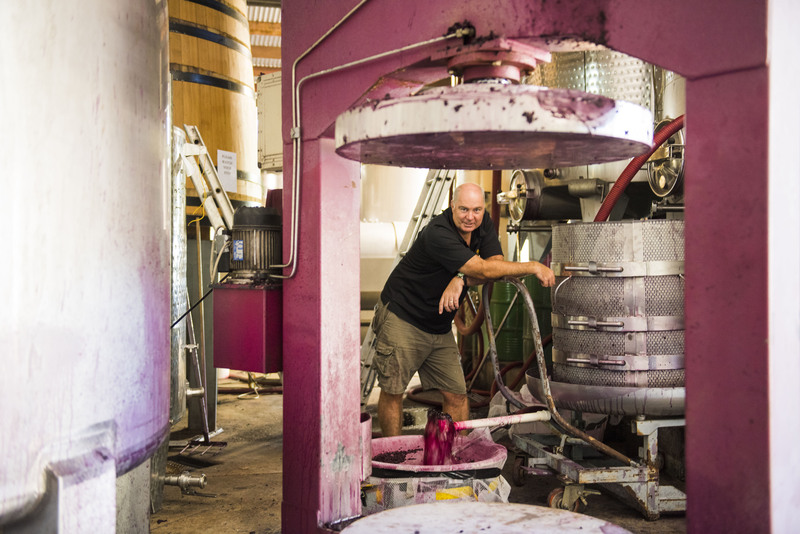 Rural journalist for The Land, The Australian and ABC Radio, Tim Stevens took to the vines after completing a winemaking course at Charles Sturt University. He bought neighbouring Abercorn Wines and then in 2005, after winning a number of awards, purchased the iconic winery Huntington Estate. Gavin has a Masters in Oenology and has worked vintages all around the world. In 2016 he came to Huntington to support the team during vintage, then left to do another in Beijing and California. We were so impressed with his fantastic palate and wine knowledge as well as the way he worked with the team, we begged him to come and join us for the 2018 vintage and to stay to lead the day to day work in the winery. Contact Gavin for your contract winemaking needs. Gage has been with the team since 2015, starting off as a Cellar Hand. His attention to detail, commitment to learning and mechanical skills have led to his position as our Production Manager. Gage handles all of our client and contract bottling, as well as assisting Gavin as Cellar Hand. He is a central figure during our annual Music Festival as well, setting up the venue space and providing ongoing maintenance - from building the stage to servicing the generators, he does it all and does it well. Gage spends his spare time at the gym and spending time with family and his dog. 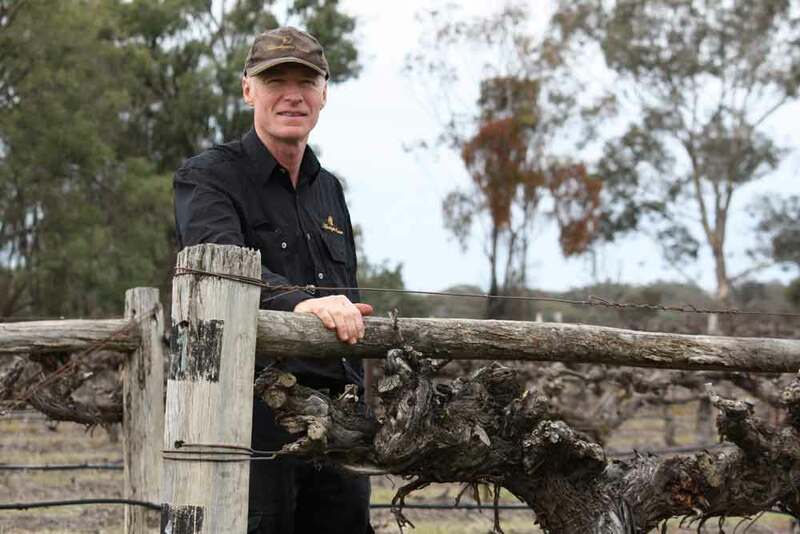 A man of few words, Paul honed his viticulture skills in Robert Oatley’s impressive vineyards. He joined the team at Huntington for Vintage 2014 after a brief spell as a baker (he makes the best churros you’ve ever tasted), and works tirelessly to nurture the vines and maintain vineyard equipment, infrastructure and the winery grounds. The vineyard has never looked better thanks to his care and hard work. Paul Baguley of PBAG Agricultural Consulting has 22 years of experience in rural industry from livestock and grain trading to viticulture. Helski is our longest-serving employee (we celebrated 15 years in 2014) and is our much loved “Treasure”. 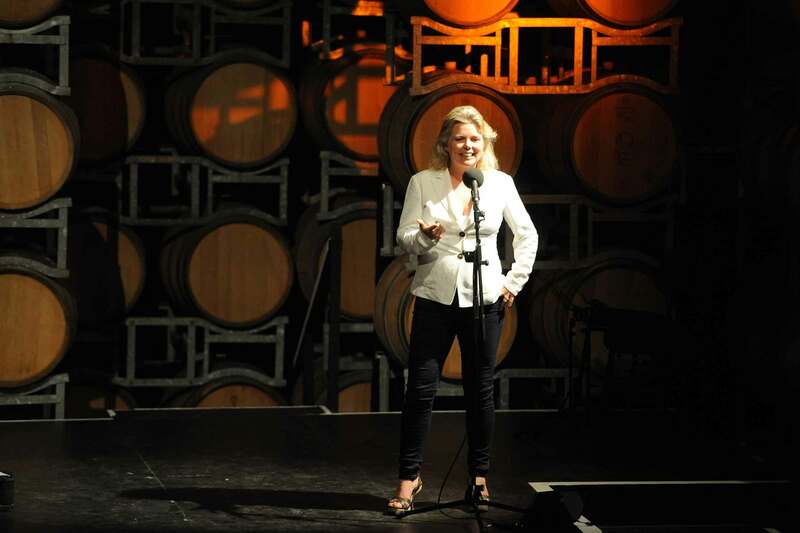 She is to be found manning the Cellar Door and the telephones during the week, engaging with our loyal customers. She enjoys living in the bush, gardening, walking, bird and wallaby watching and spending time with friends and family. Another British expat like our glorious leader Nicky, Marc joined the Huntington Estate team in 2017, relocating to the area from Sydney. With a background in upper level management for United Cellars and 15 years of experience as a somnelier, Marc's encyclopaedic knowledge of viticulture and marketing are an incredible asset to the business. We are delighted to have him with us. Jaime joined the Huntington team as a cellar door member in 2013. 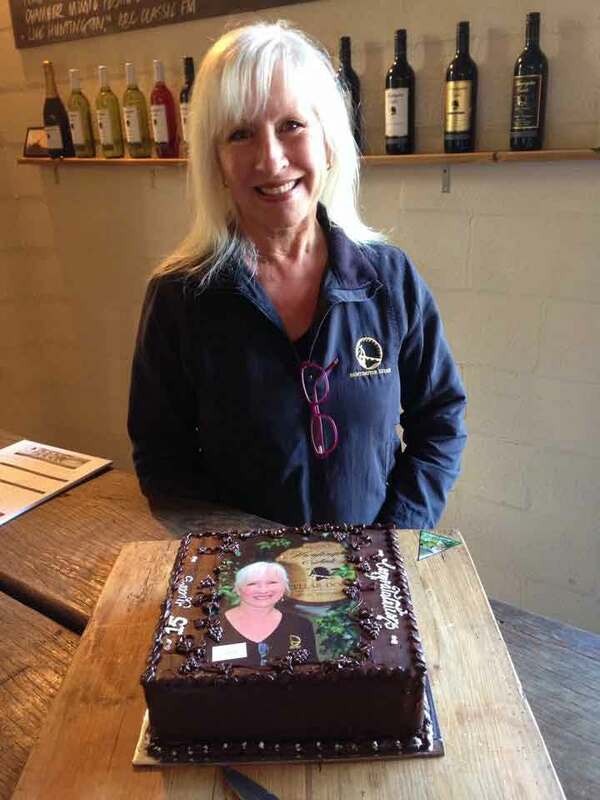 Since then she has become an integral part of our cellar door team, and manages our incredibly Winemaker's Lunches and Festival Stalls throughout the year. After travelling the world in her twenties, Jaime has settled in Mudgee with her 2 children and enjoys spending time with family and experiencing nature. David has a passion for wine and over the past decade he has been actively selling quality wine. The last 8 years he was a Senior Consultant at United Cellars and more recently Sales Manger at WineFirst.... David has always had a soft spot for Huntington Wines and looks for forward to reuniting with many of his Huntington friends. Don't panic if you get a call from 0438 512 500 - that's David's callout line! Chris, owner of Know & Grow a local book keeping and accounts company, works one day a week at Huntington Estate (Wednesdays) and oversees the commercial and systems elements of the business. Her contribution to the smooth running and good order of the place is priceless! Al has worn many hats – in roles as diverse as Publican, Acting CEO of the Mudgee Region Tourist Office, Bookkeeper and mother of 2. At Huntington, Al is in charge of accounts, payroll, HR, insurance and other tricky things that come up like export. Al works part time usually from Tuesdays to Thursdays and her ready laugh, 'can do' attitude and positive outlook are appreciated by all. Carl Vine AO is one of Australia's best known and often performed composers, with an impressive orchestral catalogue featuring seven symphonies and ten concertos. His piano music is performed frequently around the world and recordings of his music on more than 60 CDs play regularly on Australian radio. 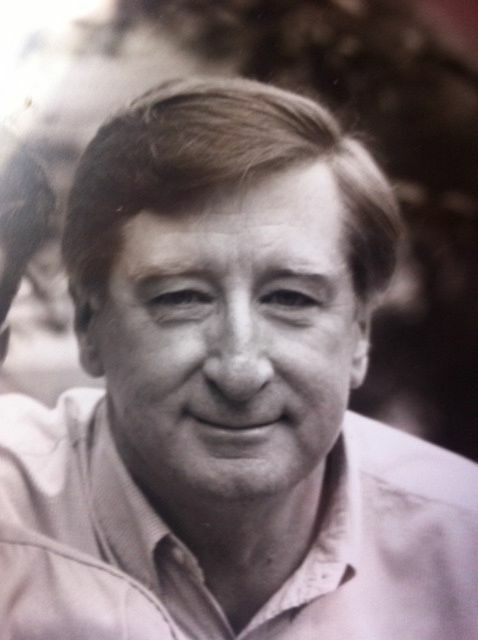 He has an extensive range of chamber music alongside various work for film, television, dance and theatre. Although primarily a composer of modern art music, he has undertaken such diverse tasks as arranging the Australian National Anthem and writing music for the Closing Ceremony of the Olympic Games (Atlanta, 1996). In his role as Artistic Director of Musica Viva Australia Carl is also Artistic Director of the Huntington Estate Music Festival, Australia's most prestigious chamber music festival. In 2014 Carl accepted a post as Senior Lecturer in Composition at the Sydney Conservatorium of Music. Musica Viva Australia is a unique organisation in the Australian cultural landscape. Music is our passion. Through our two areas of activity – Concerts and Education – our goal is to bring it to as many people as possible. In 1995, piano technician Ara and his wife Nyree formed Theme & Variations offering tunings, restorations, sales and hire services. Theme and Variations partners with many arts and community organisations including the Australian Chamber Orchestra, the Sydney Symphony Orchestra, Musica Viva, The Queensland Music Festival, the Sydney International Piano Competition, The Huntington Estate Music Festival and many others.